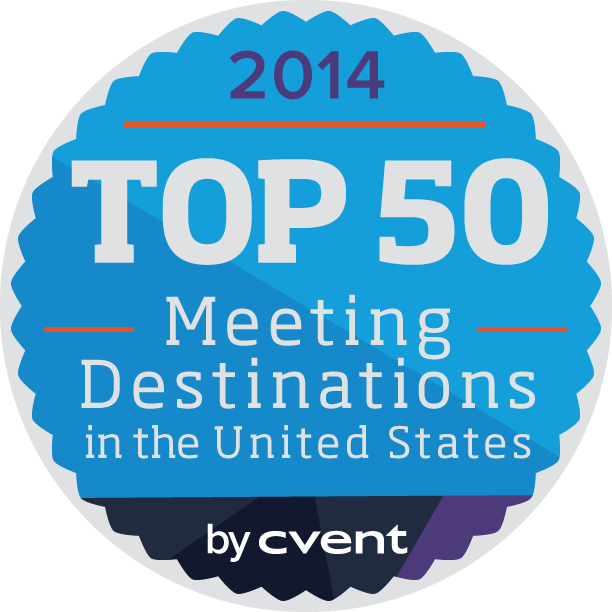 Welcome to Cvent's Miami event planning guide – a Miami city guide for event and meeting planners. Miami combines unparalleled culture, exuberant nightlife, and Miami event venues set against a backdrop of beautiful weather. The city has now extended well past its original limits, with something new and exciting always on the horizon. 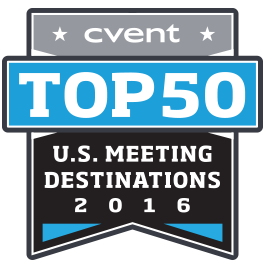 From Ocean Drive to the Tamiami Trail, event spaces offer scintillating options for meeting planners. New projects are de rigueur, and nowhere else is the skyrocketing growth of Miami more apparent than in the abundance of hotel properties dispersed throughout the city. From beachfront to urban retreat, the variety of hotels satisfies a wide range of interests and price points for Miami event planning. 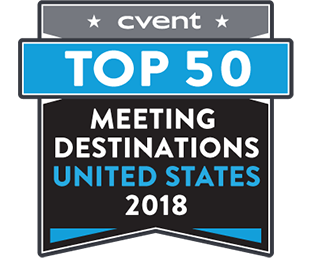 The Miami Beach Convention Center is currently undergoing a $515 million renovation and expansion, which will set a high standard of excellence and redefine meeting and entertainment solutions when hosting large-scale business, trade, civic, and cultural events. The new 1.4 million-square-foot LEED certified facility will include a state-of-the-art 60,000-square-foot grand ballroom, additional meeting rooms with flexible arrangements, a 20,000-square-foot glass rooftop junior ballroom, advanced technology, and new versatile indoor/outdoor public spaces, as well as a renovated 503,000 square feet of exhibit space. 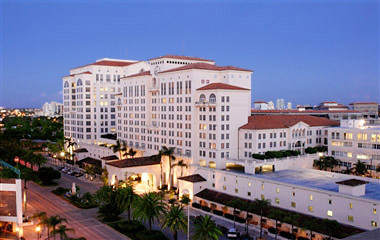 Miami also has a number of unique and memorable meeting venues. The 37,000-seat Miami Marlins ballpark features a retractable roof and a natural grass playing field and is the most sustainable stadium in Major League Baseball. Blending history and a modern design, the ballpark can host a variety of events and boasts award-winning catering, onsite parking, and extras like customized Marlin souvenirs and corporate batting practice sessions. 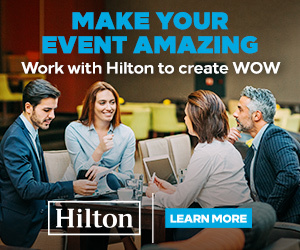 Special event venues offer even more options for Miami event planning professionals. The Miami Metro Zoo has numerous colorful and unique venues for groups, ranging in capacity from 20 to 100 guests. For larger accommodations, seating for up to 2,600 is available at the Jackie Gleason Theater, which serves as home to the Miami Beach Broadway Series, among several other year-round comedy, concert, and television productions. Cruises, resorts, gardens, museums – Miami is bursting with sites available to host guests with a distinctive Miami flair. The South Miami-Dade Cultural Arts Center is a $51-million world-class, multi-disciplinary performing arts center. 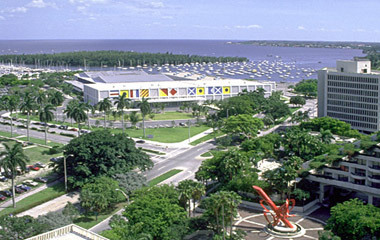 Pérez Art Museum Miami (PAMM), located in Downtown Miami's Museum Park alongside Biscayne Bay, is Miami-Dade County's flagship museum, presenting international art of the 20th and 21st centuries. This facility offers 200,000 square feet of indoor and outdoor program space. The Arsht Center is one of the world's leading performing arts organizations and venues. Since opening in 2006, the Arsht Center has emerged as a leader in presenting innovative programming that mirrors South Florida's diversity, as well as a catalyst for billions of dollars in new development in the downtown area. The New World Symphony offers a flexible, uniquely shaped space that hosts presentations of all types, including general sessions and summits, concerts, theatrical events, live webcast presentations, broadcast productions, and Grammy-winning album recordings. A myriad of distinctive seating and stage variations enable the performance hall at the New World Center to remove the boundaries of traditional presentation formats and minimize the distance between the audience and the stage. The New World Center's flat floor, full seat retraction configuration can accommodate up to 1,200 with both fixed and floor seating, or 400 seated for dinner. For offsite activities and events, the biggest hurdle for planners is narrowing down Miami's options. Sporting events are always a hit with groups, and Miami plays host to all kinds throughout the year, including the Miami Open, Ford 100, and World Golf Championships-Cadillac Championship. 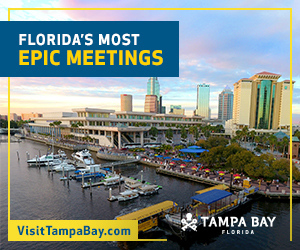 Beach volleyball games and sunset cruises along the Intracoastal Waterway are always popular. 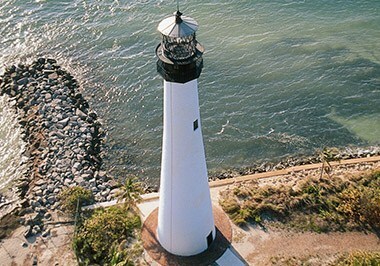 Greater Miami is also home to two national parks – Biscayne National Park and Everglades National Park – ideal for wildlife viewing. Miami's diversity can be felt everywhere, from its people to its neighborhoods. One of the best ways to experience that diversity is through Miami's rich culinary scene, which offers groups a chance to sample gourmet cuisine from every corner of the earth. 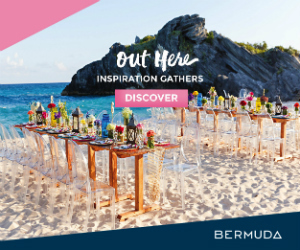 In their off time, attendees can also explore the world's third largest barrier reef, shop the world's largest collection of designer boutiques, or take in a Latin rock concert. 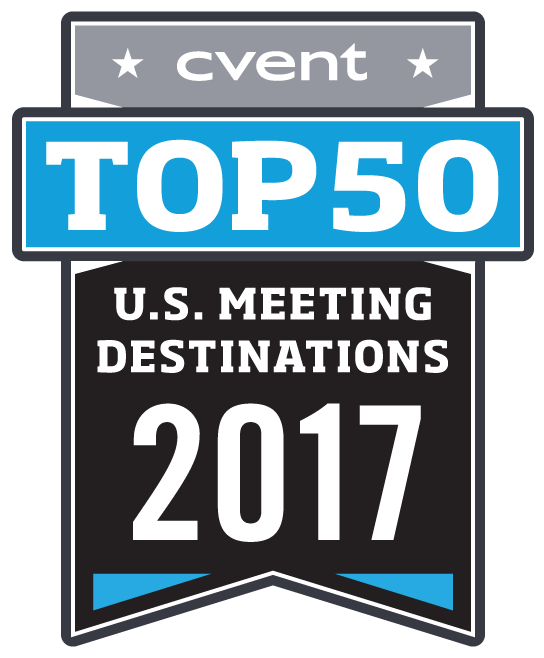 Miami is a great place to host your next event. 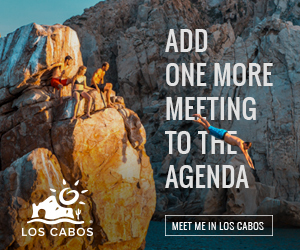 It offers world-class facilities, year-round sunshine, beautiful beaches, and a world-class art scene. Miami and the Beaches – the center of it all. Often referred to as "The Gateway of the Americas," Miami is a cultural mecca rich with diversity stemming from its proximity to North, South, and Central America, as well as the Caribbean. 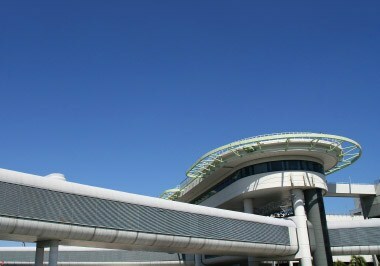 Having a vast Spanish-speaking population in Florida and economic ties to Latin America has elevated the greater Miami area to an international financial and cultural center. Located on the lower east coast of Florida, Miami and its surrounding areas comprise the 5th-largest metropolitan area in the U.S. Surprisingly, the city proper, with an estimated population of approximately 400,000, has the smallest land area of any major U.S. city at only 35.7 square miles. Tequesta Indians once populated the lush tropical area that is now Miami for more than a thousand years. 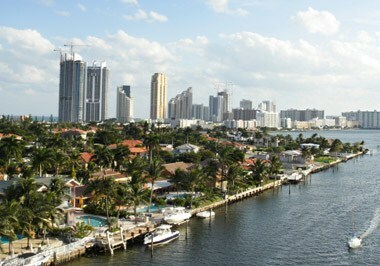 Since incorporation as a city in 1896, Miami has been on the rise. The only major city in the U.S. founded by a woman, Julia Tuttle, Miami had just 300 residents at its inception and 110 years later had expanded to 2.2 million residents in its metro area. This miraculous escalation earned the city its nickname as "The Magic City." Continuing in this tradition of rapid growth, the city is currently in the midst of a building boom. 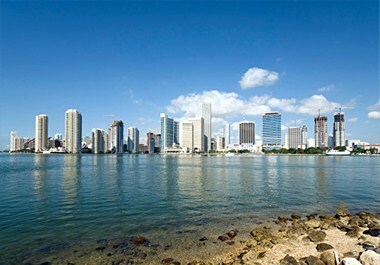 A diverse multi-lingual metropolis where more than 150 ethnicities reside and over 60 languages are spoken - including the three official languages of English, Spanish, and Haitian (or French Creole) - Miami also has the largest Spanish-speaking population in the Western Hemisphere outside of Latin America. It also has one of the largest percentages of population, nearly 75 percent, in the U.S. of residents who speak a language other than English in their homes. With year-round sunshine, the vibrant city of Miami has long been touted as the ultimate destination for lovers of superior sand and surf. 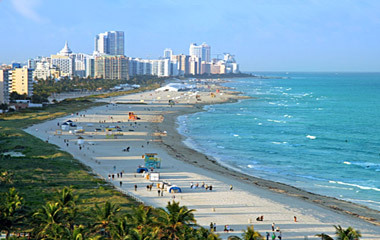 Miami Beach is a long and narrow barrier island adorned by blue water and white sand. 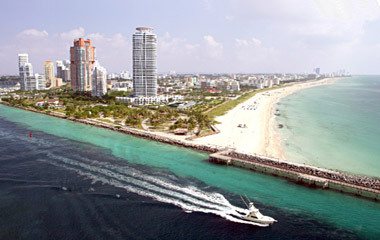 Sometimes referred to as the "American Riviera," Miami Beach is a world-renowned chic hotspot of South Beach. For outdoor enthusiasts, Miami is much more than a beach town, as it is the only major American city to be bordered by two national parks, Biscayne National Park to the east and Everglades National Park to the west. Miami is emerging as a serious contender on the International Art Scene with world-class museums such as the Pérez Art Museum Miami, History Miami Museum, Bass Museum, and the Wolfsonian Museum scattered throughout the city. It is also host to high-profile cultural events including the world-famous Art Basel and Art Miami shows. Moreover, the largest collection of Art Deco architecture in the world graces the palm tree-lined streets of Miami Beach's Art Deco District.